Customer experience award in this year’s Blue Arrow Awards is waiting to be handed out to a digital service or product that can demonstrate outstanding consideration for the customer. What does it take to claim this prize? This post reveals what this year’s jury thinks of customer experience and how the 2016 award was decided. The way we see it, digital interfaces and channels define a big part, if not the biggest part, of the company’s public face. Customer experience is a reflection of how customers perceive their interactions with your company. In this competition, our eyes are on the digital channels. But let’s begin with a step onto the memory lane of the very first Blue Arrow Awards. Last year I had the honor of participating in the jury for CX award. Looking back, I’d say we had a lot of work, but it was fun and easy for the most part. The CX category got by far the biggest number of submissions last year. We were very impressed not only by the level of interest but also by the variety of works submitted for the category. The first hand experience was essential. To get a proper touch of the applicant, we required that each applicant would be tested for ‘first-use-experience’ (or equivalent) by two qualified judges. Thus we split the applicants so that each judge had the honor of familiarizing themselves with quite a few entries each. I will not dwell more into the details of the evaluation, but I’ll say this: the first hand experience proved more essential than I had personally hoped for because many applicants failed to provide much second hand experiences! Then again, we used bad FUEs mostly as disqualifying criteria, shortlisted candidates did have to bring something of the second kind to the table as well. In the end, we reached a consensus about the five excellent services (Yle Uutiset Uutisvahti, Tallink Silja Mobile Reservation, Veikkaus.fi, Zervant and Nordic Sky Entertainment by Finnair) that were shortlisted for the award. I can say that all shortlisted candidates were convincing examples of creating delightful customer experiences. It was mostly due to the main judge’s emphasis on business value and innovation that we eventually chose Finnair’s Nordic Sky Entertainment as the winner of the category. Although the bar is high for winning, we really warmly welcome submissions across all domains of digital services! Since last year, we’ve improved the submission process to reduce your effort in enrolling in the contest. The only new requirement is that we’re looking for fresh entries, services or products released or significantly updated during 2016 and 2017.
the customer experience that is loved by their customers. Such services are easy and enjoyable to use; at best, they help the customers to complete tasks and achieve their goals – when online or/and outside of it. The way we see it, digital interfaces and channels define a big, if not the biggest, part of the company’s public face. Customer experience is a reflection of how customers perceive their interactions with your company. At best, the user’s experience and journey is so smooth from the very first to the last transaction that the user hardly recognises any effort. Such services redefine standards of services. Often they feel like a species of their own and have a huge impact on the whole brand. Last year’s criteria are all not yet irrelevant, we’ll be thinking about features such as how much and why does the service improve the lives of the users? How easy the service is to use? What evidence do you have of customer love? How does it differentiate from competition or previous versions? How well did the case deliver on its intended impact, against the challenge at hand (opportunity addressed), the audience (needs & behavior addressed), and the business (profit, cost, brand)? 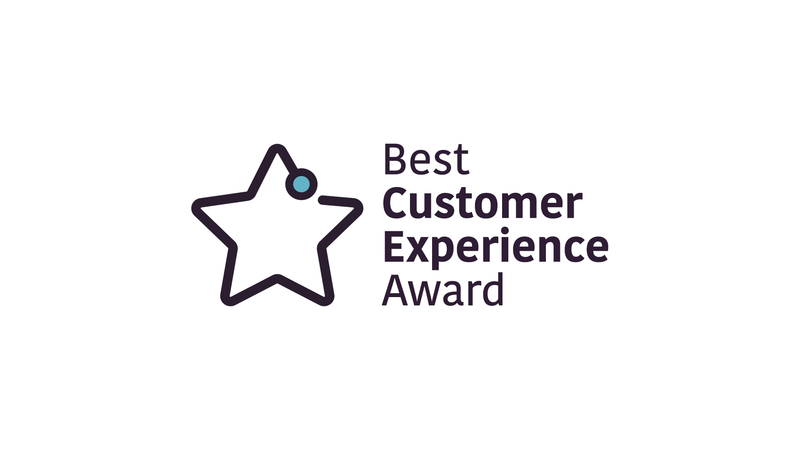 Go ahead, let the world know about your excellent service and it might be you and your team holding the award of best Customer Experience in 2017! Lassi A Liikkanen with contributions from the Jane Virta, Otto Virta (main judge), Vesa Härkönen and Mia Nygren.